I bought this at a used bookstore for $1.50, figuring I wouldn't lose much if it turned out to be a bust. But I loved it! The editors have collected works from topnotch contemporary writers. And the fact that all the entries center in some way on birds never becomes repetitive. Birds are here in all their light and darkness, and our humanness is revealed with every poem and story. 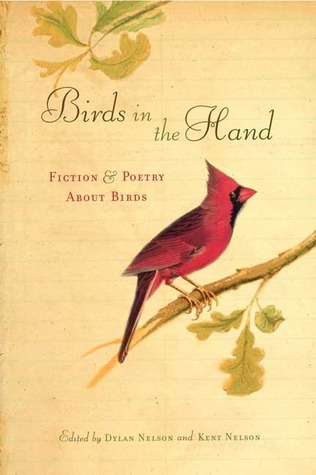 I highly recommend this book, even if you aren't as much of a bird-lover as I am. Birds are at the heart of everything in this collection, and it's not just about birds. This made for a great bathroom book - an essential caveat of fine literature. Short poems, long poems, short stories, excerpts... all varying widely in subject, tone, voice, etc... but tied together by the common thread of birds. If you use the bathroom (and I suspect that you do) I would definitely recommend this book to help you pass the time (and other things).